Dere Street Homes open their latest showhome at the Marley Fields development in Wheatley Hill to the east of Durham City on Saturday 21st April. The Ellerby showhome is a fabulous four bedroom detached design with a double garage offering a spacious and well designed interior. The entrance hall leads either into a large open plan kitchen/dining area with access to a light and airy rear-facing garden room or into the separate living room to the front of the house. A downstairs cloakroom is also located off the hall. 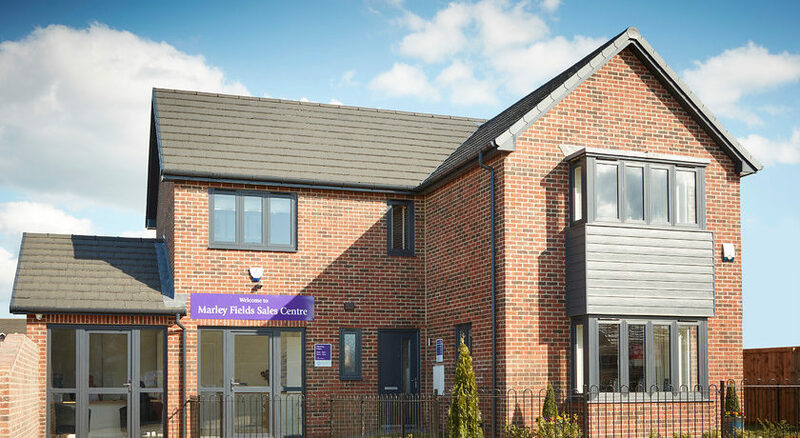 Marley Fields will eventually contain some 106 new homes of thirteen different designs on a brownfield site just off the A181 linking the A1(M) to the A19 at Castle Eden. With two, three and four bedroom designs of homes, the aim is for a mixed development with prices to suit a variety of budgets from those taking their first steps on the housing ladder to growing families who wish to stay in the area but are looking for a bigger home.